If you are in need of an adorable gift, look no further! 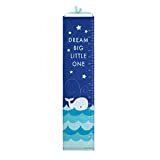 The below section is dedicated to the best selling whale toys that are soft and affordable. 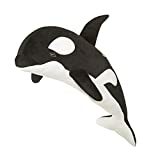 Browse through our list to find a great whale as a gift or to add to your collection. 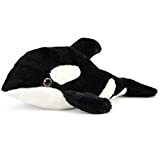 Vintoys Very Soft Blue Whale Shark Big Hugging Pillow Plush Doll Fish Plush Toy Stuffed Animals 27"
1. 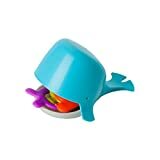 Buckle Toy "Blu" whale: Besides being cute, this toy has numbers on straps and shapes on the tail. This will make learning a pleasure. It also sports pocket zippers where your child can store his most precious items! While the zippers and buckles help the child know how to use them, the colorful straps are engaging. An all in one product, it ranks second on our bestsellers list! 2. 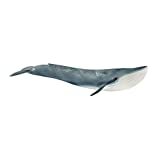 Wildlife artists Stuffed Blue Whale: Would you like your child to know exactly how a real whale would look? In case you said yes, Wildlife artists have 'the' product for you. At 18 inches with realistic colors and appropriate markings, it is a great replica to learn more about the great creature! 3. Wild Republic Polybag Whales and Dolphins: These are a group of seven (yes! 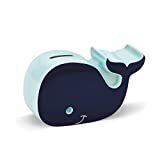 seven) PVC made durable whales. 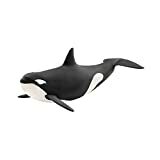 It is a complete set with killer whales, dolphins, humpback whales and many more. A perfect collection to learn from! 4. Aurora World Dolphin: This dolphin epitomizes the word 'adorable'. It is the cutest dolphin we have ever seen. The soft fabric which makes the dolphin's head will make your kid fall in love. And did you see those two small blue footprints on the side. Truly, we haven't seen a better finishing touch!